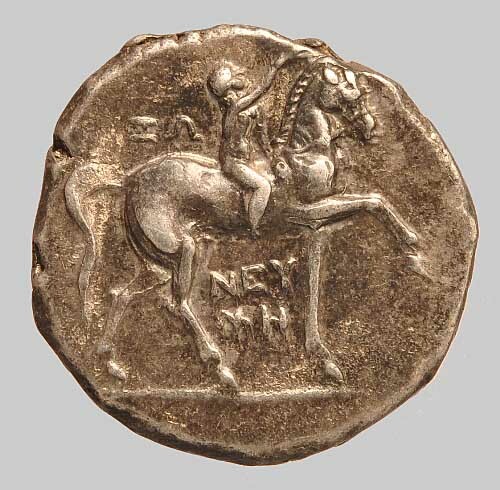 Silver stater with naked rider crowning horse to the right, lifting up foreleg, ΝΕΥ-ΜΗ beneath horse. Rev. 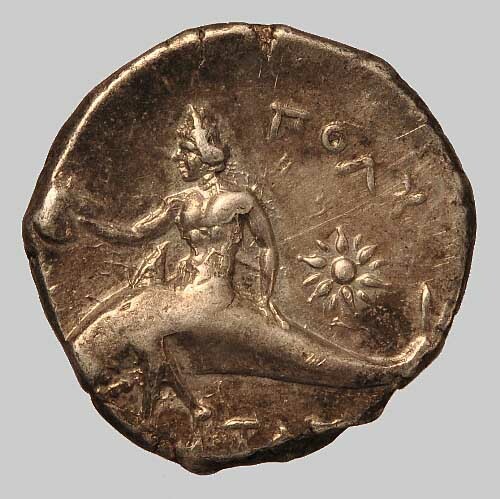 Taras seated on dolphin to the Ieft, holding οut helmet, on either side star, TAPAΣ in field to r., ΠΟΛΥ beneath.